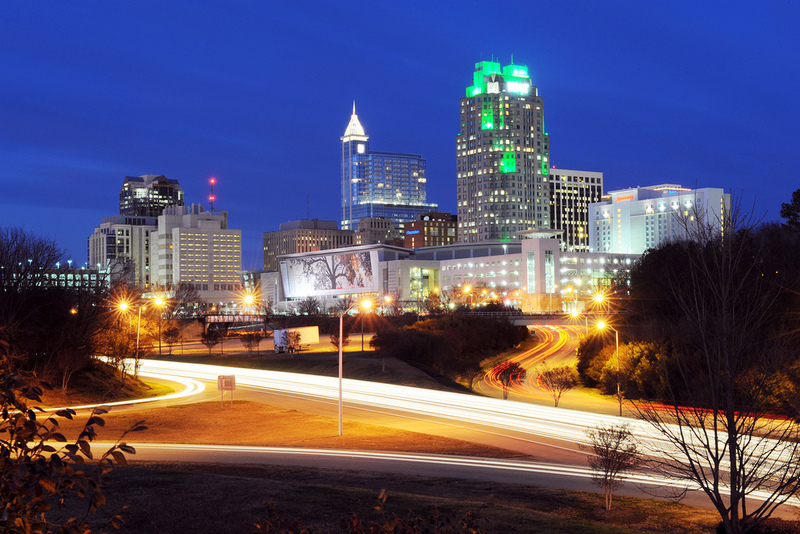 Raleigh is a booming city earning a reputation for fast growth and great jobs. A part of the Research Triangle area and home to North Carolina State University, Raleigh is also the capital of North Carolina. This city with a storied past is primed for greatness, and in 2014, was named as the second fastest growing city in the United States by Forbes. Forbes pointed to Raleigh’s Research Triangle Park employers and plethora of universities in the area as major factors in Raleigh’s growth. So it’s no surprised that Raleigh was also named by Fast Company as the best city for jobs in 2015. In addition to great growth and job opportunities, Raleigh offers residents an excellent quality of life with education, good health care, an affordable cost of living, and a mild year round climate to boot. It’s no wonder new residents are excited to move to this gem of the Carolinas. With so much interest in Raleigh, the local real estate market is on fire. It’s a great time to sell or buy in the area, and there are a number of qualified, helpful Realtors that are prepared to help you whether you’re interested in buying, selling, or investing. We’ve highlighted the 15 leading Realtors in Raleigh, professionals with years of experience, happy clients, and rave reviews. Though we’ve listed 15 of Raleigh’s most excellent Realtors, we want to hear from you to find out which one is the best. That’s why we’ve included a poll at the end of this article. Please vote and let us know which Raleigh Realtor you think is the best — and do it quickly, as the poll closes in 30 days! Linda Craft is CEO of Linda Craft & Team in Raleigh. She began her career in real estate more than 27 years ago, and today, closes more than 400 homes each year with her team. Craft has a number of important real estate designations including a star with the national Star Power organization, president of the Luxury Home Marketing Group, and real estate expect for NBC My Carolina Today. Clients love that Linda is honest, down to earth, and works hard to develop customer service that results in raving fans. President and sales manager of The Glenwood Agency, a boutique real estate firm that she opened in 2005. 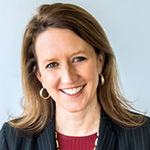 For 18 years, Andersen has been selling homes and assisting developers with downtown Raleigh real estate, and her experience and expertise shows. 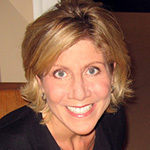 She is an expert in properties inside Raleigh’s beltline and considered by many to be the go to Realtor for this area. She is a long standing member of the Urban Land Institute and the Downtown Raleigh Alliance. Clients say she makes real estate a great experience, and it is clear that she is knowledgeable about the market. They appreciate how hard she works for her clients, and love that she can sell homes quickly. 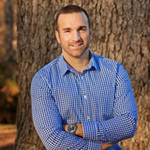 A licensed Realtor since 2006, Johnny Chappell has more than 9 years of experience working in real estate. He specializes in new construction, buying, selling, and investing. Chappell is a native of Nash County, a graduate of the University of North Carolina at Chapel Hill, and a resident of downtown Raleigh. Clients appreciate that he is ultra responsive, makes purchases work smoothly, and treats every transaction as if it was his own. 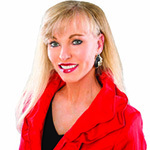 Kelly Huffstetler is an experienced Realtor and co owner of Realty World Signature Properties. She has extensive experience in negotiation both personally and professionally, and is an expert and finding her clients the best deal. Huffstetler is proud to stay on top of industry knowledge to help her clients — and each day, wakes up to a latte and the Wall Street Journal. She is active in the community as a member of the SAFEchild board of directors, and is a sustainer in the Junior League of Raleigh. Her clients rave about her seamless service including selling homes in just weeks for list price and excellent negotiating skills. 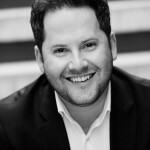 Frank DeRonja is principal broker of DeRonja Real Estate, and has more than 12 years of experience in real estate. He focuses on helping clients purchase and sell real estate in the Triangle area of North Carolina, and is proud to have his core business come from repeat clients and referrals. DeRonja is actively involved in the community, serving with the Raleigh Regional Association of Realtors, the North Carolina Association of Realtors, and the SAFEchild Advocacy Center, where his wife serves as the director. DeRonja’s clients say he excells at finding them the perfect homes in the neighborhoods they want, while maintaining professionalism, honesty, and integrity. They point out that he regularly goes above and beyond to make the experience of home buying or selling perfect. Ginger Vereen is a native of Wake Forest, NC and a graduate of East Carolina University. 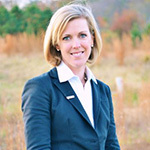 She is also owner of Ginger & Co. in Raleigh, specializing in residential home sales in the Triangle. Vereen offers full service real estate for resale, new construction, and investment property, but her biggest advantage is her background in finance, which helps clients to better understand financing options. 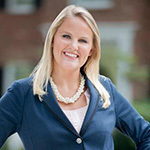 She was recently recognized for her excellent in real estate as one of the top 30 Under 30 in Realtor Magazine. Clients say she is very knowledgeable and wonderful at selling homes quickly. Bottom line, they say she is amazing and always able to offer excellent advice and explanations. Jordan Lee is a Raleigh Realtor with more than 11 years of experience — and he’s lived in the area for nearly 30 years. He is proud to deliver great results, and his average number of days on market is 14 and at 99.7% of list price. Lee was recognized for his excellence by the Triangle Business Journal as one of the top 25 in the area. It’s his goal to become each client’s housing resource for life, and promises to always do what’s right. Lee’s clients say that he makes the home sale process painless and is always professional, knowledgeable, and a great communicator. Carla Sevilla is owner and broker in charge of Chanticleer Properties, a boutique real estate company serving the Raleigh Triangle. 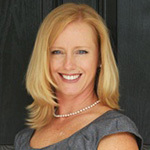 She is a U.S. Marine Corps veteran, and has been a residential real estate professional since 2001. Sevilla has a number of remarkable real estate achievements, including selling and closing 247 homes in 2013, a feat which earned her a recognition for highest sales volume for an individual agent in the Triangle. She is comfortable working closely with builders, as she previously worked with the PulteGroup — and she knows how to help her clients get the best deal for their new homes. Sevilla’s clients say she is attentive to their needs, knowledgeable, professional, and always prompt to reply. Samara Presley is the broker in charge of Smart Choice Realty, a firm she founded in 2008. She specializes in full service, flat fee home home sales. Presley offers her clients an efficient, technology enabled service that delivers great results at an even better price. Her real strengths are negotiating, market knowledge, and staying afloat in an ever changing real estate market. She and her team serve the Raleigh, Durham, and Chapel Hill areas. Clients are happy to report that she offers them fast home sales, tons of traffic, bidding wars, and sales above asking price. 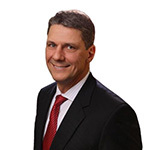 John Pace is president and CEO of the Pace Realty Group. He is proud to offer his clients hard work, dedication, and integrity. Pace holds a number of real estate designations including Accredited Buyer’s Representative, Graduate Realtor Institute, and Certified Residential Specialist. 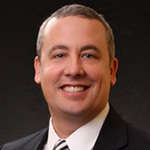 He is active in the community and is a member of the Raleigh Association of Realtors Top Producer’s Council and is a former member of the Board of Realtors of the Raleigh Association. Pace is also a member of The Rotary Club of the Capital City. Clients say he makes home sales a smooth process and a pleasure, thanks to his impeccable knowledge and service. 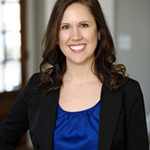 Broker and owner of Spencer Properties, Jennifer Spencer specializes in helping buyers find their idea home and sellers accomplish their real estate goals. She got her start in real estate as an investor, and then worked with other investors to find and buy the perfect investment properties for their needs. 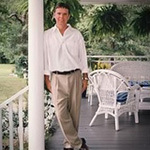 Spencer founded Spencer Properties in 1997. Clients say she is hard working and offers an excellent, smooth process whether you’re buying or selling. Many clients point to her distinct strength as a seller’s agent as she is able to get homes sold quickly for a good price — sometimes, even higher than original listing prices! 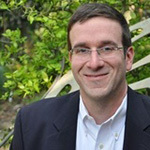 Marshall Rich, owner and broker of Rich Real Estate Group, has more than 16 years of experience in real estate, and has been selling residential real estate in the Raleigh area for more than 10 years. He is an expert on Raleigh neighborhoods and surrounding areas, plus, he has construction experience that comes in handy with inspection issues. But, Rich will tell you that what he really specializes in is customer service. His clients agree and say that he offers excellent guidance, is always responsive and accessible, and often goes above and beyond the call of duty to ensure everything goes smoothly. Greg Ismay is the broker and owner of Ismay Realty Group, and since 2008, has helped more than 500 clients with buying and selling homes. He is proud to offer specialized service for each client with excellent communication and accuracy. Ismay’s clients say he and his team offer excellent service and attention — plus, fast home sales. 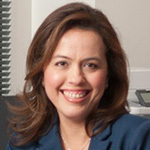 A Realtor with more than 13 years of experience, Mariella Guillama has long been recognized as a top producing agent. She is able to produce great results thanks to her personalized service, willingness to go above and beyond, and with knowledge and dedication to her clients. Guillama is a buyer and listing specialist with the Certified Residential Specialist designation. Her clients say she has an excellent marketing ability, is always responsive and proactive, and delivers great results. 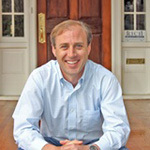 David Wilson is broker and owner of Carolina’s Choice, a flat fee real estate company. He has more than 21 years of experience. Wilson specializes in high volume sales, and in the past 12 months has closed more than $50 million in sales. Sellers can choose from limited service and full service based on their needs. Clients appreciate his market knowledge and excellent advice for home staging. They say he is great at getting homes sold — and making each sale a stress free experience.